For this week's herb recipe I'm sharing my version of a gremolata. Gremolata is just a fancy word for a parsley-based condiment (or as I like to call it a "sauce" because it makes it feel more special) traditionally made using lemon zest, garlic, and anchovies. The truth is, the only thing similar here is the parsley and a citrus kick. Maybe we should name it a Hazenut + Parsley Condiment? Nah... Let's stick with gremolata, just promise me you won't be intimidated by the name. This green herb and nut "sauce" is an excellent way to use whatever nuts you have on hand with whatever herbs you have in your garden. I like parsley because of the bitterness but I also use cilantro because of the bright flavor it provides. 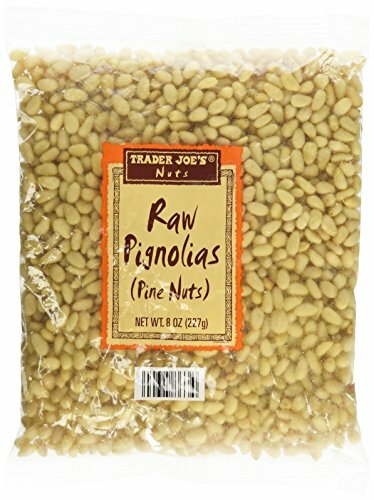 I use the mix of hazelnuts and pine nuts because of their complimentary crunch. At the end of the day, I just hope this recipe empowers you to elevate your meals with what's in your pantry/garden without too much effort. I recently shared on Instagram that I like make my hazelnut gremolata for grilled salmon and risotto, but I'd comfortably pair it with any protein or grain. I specifically like fish because I think the flavors and textures play well together. Just use whatever fish you normally buy, OR if you're feeling adventurous, ask your fishmonger for their favorite fish. 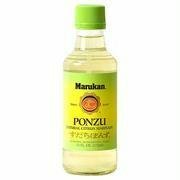 I use ponzu (a sudachi citrus marinade WITHOUT soy sauce) and will link it below if you'd like to buy it. 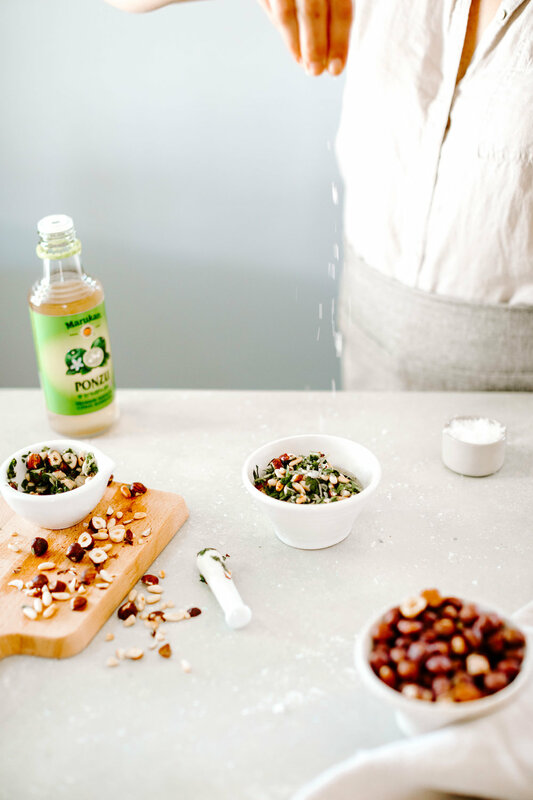 Ponzu is an excellent sudachi and vinegar based seasoning. You can buy it as a ready-made condiment with soy sauce, however I like to mix it myself. I like to keep it on hand for Asian dressings, marinades, or when I need a replacement for citrus. In fact, the reason ponzu is in this recipe at all is because I was out of lemon. 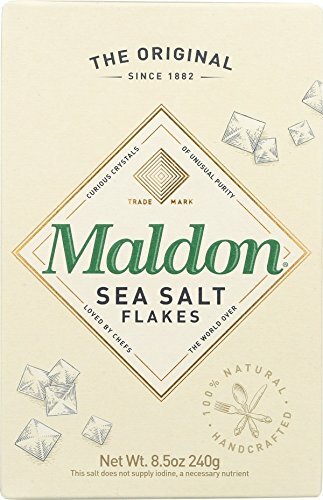 Now, if you're unsure of this condiment and want to avoid buying pantry items that you're not quite familiar with, I totally get it. Use the juice of half a lemon in its place. Nuts. Use whatever you have. Great alternatives would be almonds, walnuts, or pepitas. Herbs. I love parsley and cilantro here, but don't be afraid to use whatever fresh herbs you need to use up (maybe fresh oregano or basil?). This version of a gremolata is easy to make using whatever herbs and nuts are on hand. Follow this recipe to taste, and top your favorite fish or or mix with your favorite grain (like on top of risotto, yum!). 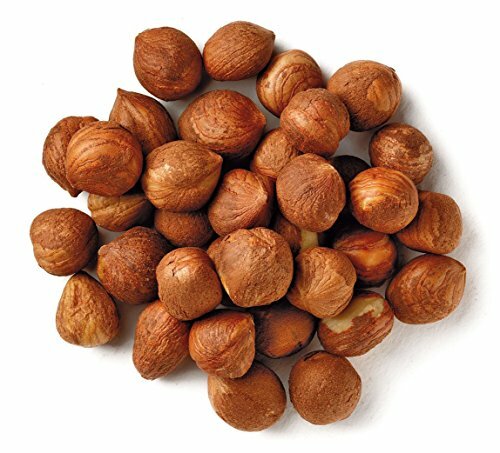 In a pan or in a toaster oven, toast nuts until just fragrant and golden. Shake constantly to avoid burning. Pull off of the heat and when cooled to the touch, roughly chop and add to a small bowl. Roughly chop parsley and cilantro and add to the small bowl. Drizzle olive oil over top of nuts and herbs and mix, careful not to add too much oil. This texture should resemble a perfectly dressed salad. Add ponzu and salt, and mix again. The texture should now look like an over-dressed salad. Taste and add more of anything that you'd prefer. Amazon links* to products you may need for this recipe! *all Amazon links on my website are affiliate links. Each purchase provides me with a small commission to help bring you more of this yummy content!